A still from "I Think This Is the Closest to How the Footage Looked"
Yuval Hameiri's film, "I Think This Is the Closest To How the Footage Looked," overcame 8,161 entries from around the world to win the Short Film Jury Award: Non-Fiction category at the Sundance Film Festival, one of the world’s largest cinematic competitions for independent filmmakers. Hameiri, a student at Tel Aviv University's Film and Television Department, made the film as part of his studies. 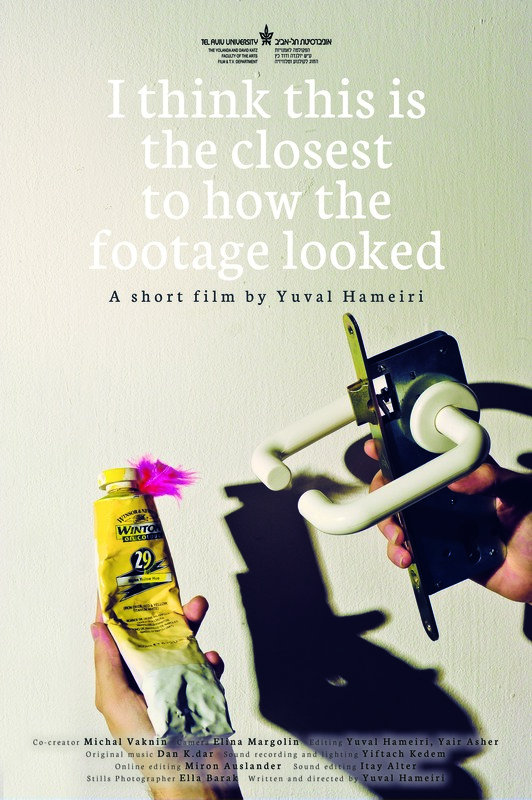 Hameiri's film also won the Student Film Competition of EPOS International Art Film Festival, 2013, and has appeared in other renowned festivals such as the San Sebastian Festival, where it won second place, and Israel’s own Jerusalem Film Festival. "I Think This Is the Closest To How the Footage Looked" is made in a style that combines documentary and experimental filmmaking. The film tells the story of the final days in the life of Hameiri's mother and uses inanimate objects to communicate the director's feelings.